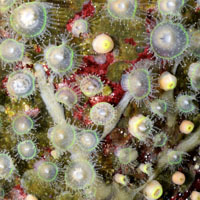 The photographic recording of underwater videos provides reference material for many research topics, ranging from underwater biodiversity at different scales and environments, to daily variations, seasonal and during oceanographic phenomena. 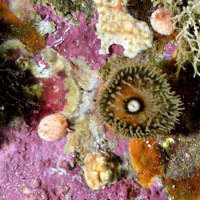 That's why one of the first activities we are developing in the Reserve includes the graphically record of the organisms that live in the coastline, both in the intertidal zone (between the extreme limits annual tidal, both sandy beaches as different exposures and rock salt) as subtidal (below the lower limit of the annual lowest tide) at depths safe for diving. 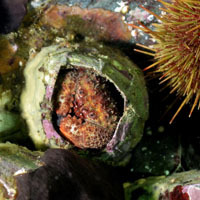 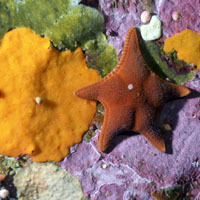 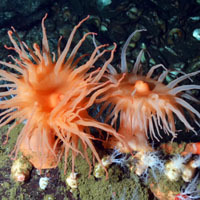 Within the rich biodiversity of benthic marine fauna observed include starfish, brittle stars, sponges, anemones, nudibranchs and crustaceans, among other species. 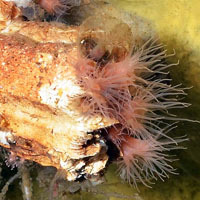 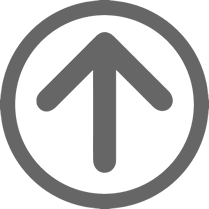 For greater depths we have developed a first study using an ROV device, in order to determine what organisms live in the seabed at depths greater than 30 meters.